Polish Amor ♥: What the hell is that???? I'm going to call this my BROKEN ORNAMENT MANI!!! Hope you guys enjoy your day!!! Ooh! I like it!! Very cool effect! <3 have a great day as well!! I just did a mani that went wrong too!! But I love how this came out... very 'New Years Party"ish!! it may not have turned out how you wanted it to look but this looks pretty awesome! so abstract & glittery & shiny! i absolutely love it! I need to see a straight on shot-these are all at angles-you could call it the psychedelic mani! I like the colors you picked! haha, i actually think they look really good! LOL @ make a big mess! I don't think it's a fail, I like it! It looks extremely festive and sparkly. Wow I like it! 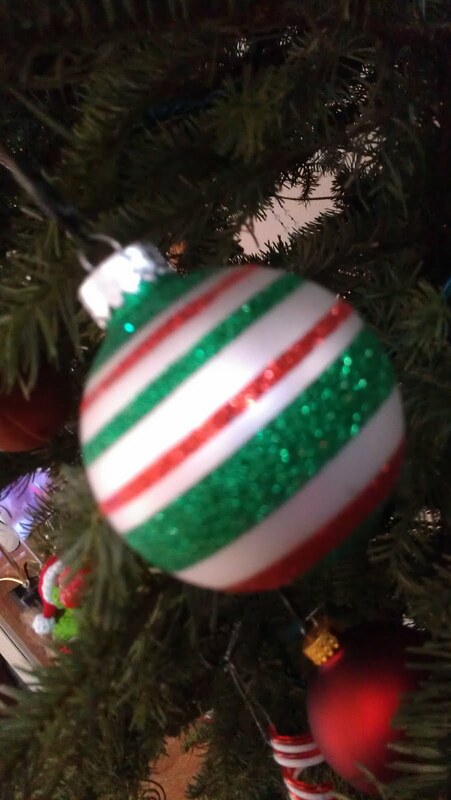 It looks like the tree and the ornaments together! Very different and fun! It's like abstract art! Imagine what Picasso could have done with holo glitter! What a lovely sparkly mess :D! I like it! It looks good I like it! It looks beautiful, like a stained glass window. I wouldn't call it a fail at all! Glittery, bright, holo, no fail!!! I love it.. better than the ornament..LOL! I dont consider this one a fail at all.. great job! Wow! Your nails look amazing! I love when things don't go as planned, but turns out amazing! haha. So cool! I actually LOVE this manicure. I pinned it :) I just found your blog and I'm so excited to read another Texas blogger! Everyone else is so far away that the polish selection is so different than mine.